A Ransi Entertainment, USA, Presentation, Weekly Nepali Radio Show. 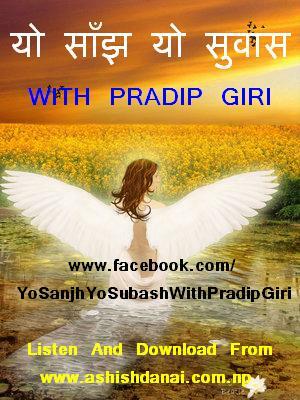 Now you can listen Yo Sanjh Yo Subash Via I-Phone and Android. Search For Application "NEPALI FM" For I-Phone users and Search for "MY NEPAL" Application For ANDROID users.